With the fall season in full-swing I recently had the pleasure of attending some of the Fall Fairs in Halton. The Georgetown, Acton, and Milton Fall Fairs have become a favourite tradition of Halton residents for the past century, with Acton celebrating its 100th year and Georgetown and Milton’s impressive 167 and 160 years, respectively. I would like to recognize and thank the three organizing committees (Georgetown Agricultural Society, Acton Agricultural Society and the Halton Agricultural Society) for continuing to host these events for our community. The Fall Fairs provide a great opportunity to unite and educate the residents in the area by showcasing the rich history of our agricultural industry as well as the diversity and innovation of Halton’s farms. Agriculture is an important industry in Halton and one of the priorities of Halton’s Citizens’ Priorities Action Plan. Events like the Fall Fairs and the Farm Tour bring important attention to agriculture in the Region and help spotlight the successes and partnerships of our agricultural community. Watch the video below to learn more about Agriculture in Halton. 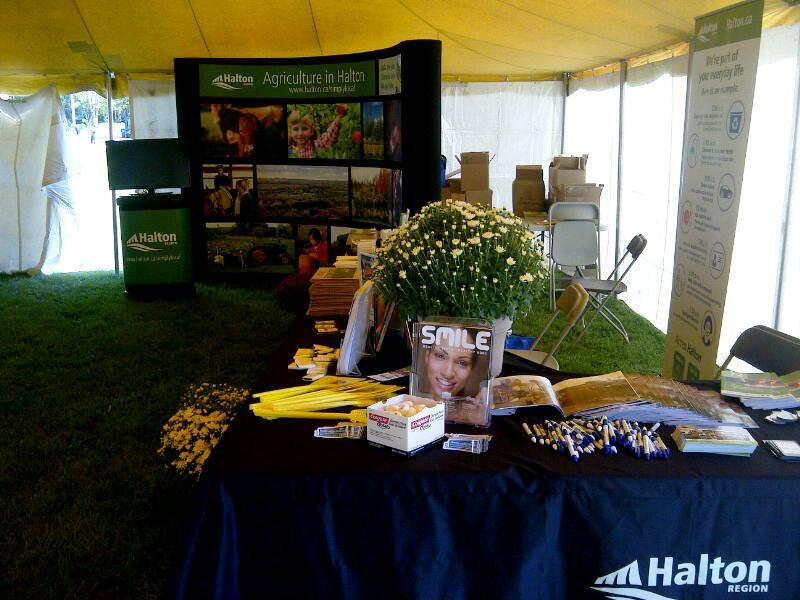 I hope you had an opportunity to attend one of the fairs and to visit Halton Region’s booth. This year our Fall Fair ambassadors were promoting information on Harvest Halton – the Farm to Chef Experience, The Pumpkin Trail, our expanded recycling and waste program, air quality, well water testing and more. New to our booth this year was a display highlighting our Growing Good Food Ideas video series. If you missed us you can visit www.halton.ca or dial 311 or to request a brochure and learn more. Agriculture is such an important part of Halton’s community and the Fall Fairs do a great job of showcasing why Halton is such a great place to live, work, raise a family and retire. To learn more about agriculture in Halton, visit www.halton.ca/simplylocal. 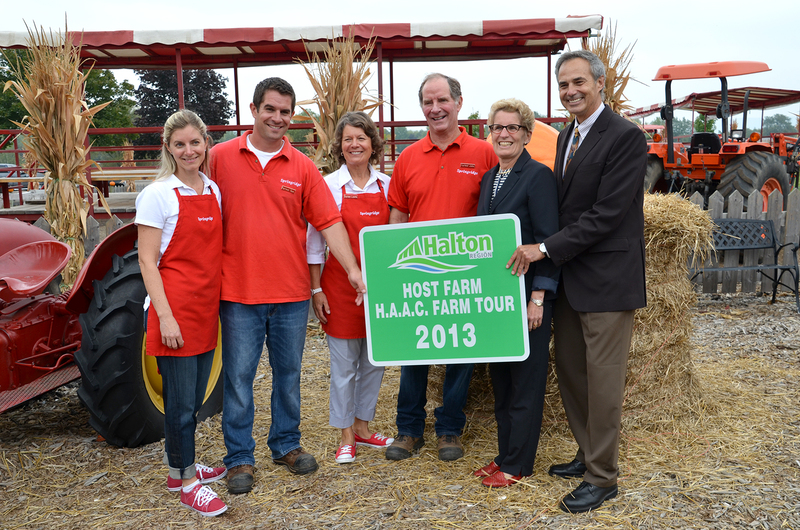 On September 19, I joined elected officials including the Honourable Kathleen Wynne, Premier of Ontario, Regional and Local Councillors, members of the Halton Agricultural Advisory Committee and media in Halton Region’s 33rd Annual Farm Tour, a forum to learn about Halton’s agricultural industry. 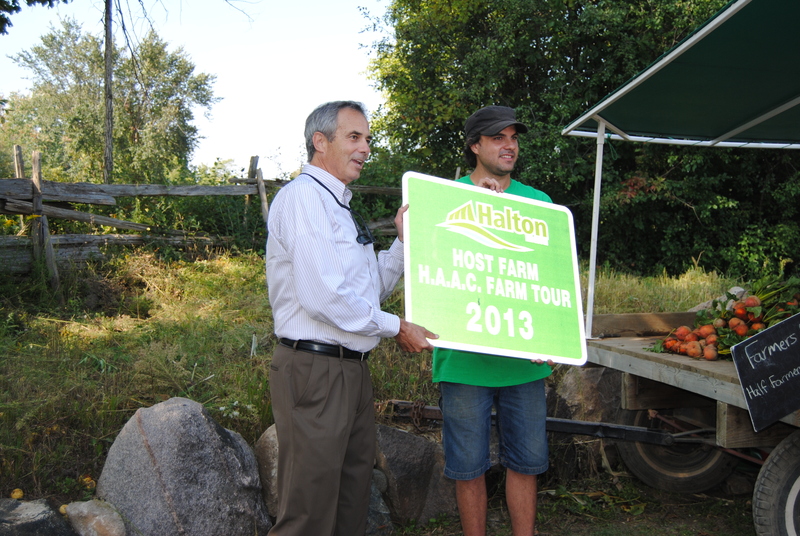 Traditionally Halton’s Farm Tour has focused on agricultural operations and the importance of the agricultural sector to Halton’s health and economy. The scope of the tour was broadened this year to highlight other innovative services being offered by Halton’s farms and related tourism operations including on-farm markets that sell food and retail goods, restaurants and greenhouses. The tour supports two key initiatives in Halton Region’s Citizens’ Priorities Action Plan, including supporting and promoting agriculture and working with partners to bring more visitors to Halton. It also highlights the diversity and innovation of Halton’s farms. The knowledge and understanding gained through events such as this tour help ensure we are able to make informed decisions for sustainable and well planned growth in Halton for the next decade and beyond. The tour gave us a chance to meet with farmers, chefs and business owners in Halton’s agricultural and food services sectors. This year’s tour included stops at Red Canoe Bistro, Springridge Farm, Mohawk Inn and Chophouse, Marshall’s Real Farmers Market and Store, and DG’s Greenhouses. At Springridge Farm, owners John and Laura Hughes talked about how listening to the consumer has helped their farm become a destination for local food, entertainment, education and fun. Premier Wynne, who is also Minister of Agriculture, commented on how Halton is successfully bridging the divide between rural and urban communities. The tour ended with a keynote address by celebrity chef, Jamie Kennedy and a locally sourced dinner. Chef Kennedy spoke about his commitment to environmental issues, local food and support for organic agriculture, local producers and traditional methods, noting that he views the farm as an extension of the kitchen. The tour was organized by the Halton Agricultural Advisory Committee (HAAC), a group of volunteers involved in Halton’s agricultural industry who provide advice to Regional Council on issues related to the industry and its community. A number of the featured presenters were also participants in the Region’s much celebrated Simply Local – A Guided Tour of Halton Farms program, and the Growing Good Food Ideas video series. To learn more about agriculture in Halton, visit www.halton.ca/simplylocal. To learn more about upcoming events including the Harvest Halton – The Farm to Chef Experience at Country Heritage Park on October 6 and Halton’s Pumpkin Trail, visit www.halton.ca/tourism. It’s almost October and fall is in the air. 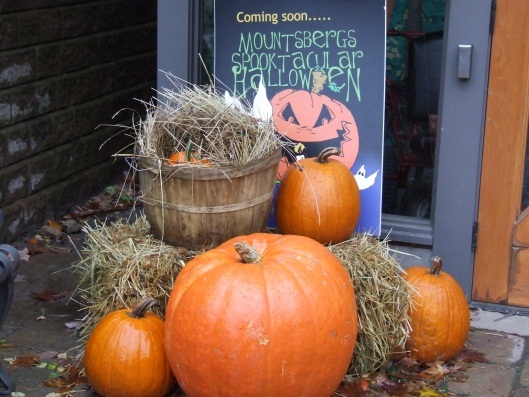 I invite you to make this October extra special by exploring Halton’s first ever Pumpkin Trail. 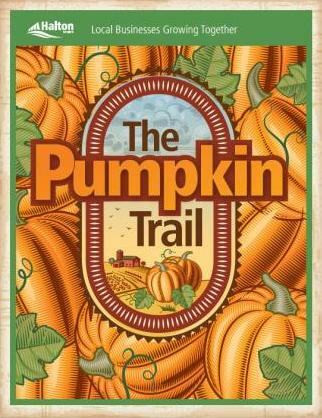 The Trail showcases pumpkin-themed experiences from more than 20 businesses, farms and tourist attractions throughout the region. Witness the changing fall colours of the Niagara Escarpment, savour the aromas of local, seasonal cuisine, participate in pumpkin-themed activities and connect with local farmers. From innovative tasting experiences to pumpkin-themed accommodations and more, Halton’s Pumpkin Trail offers something for participants of all ages. All participating farms and businesses have been mapped on a special Pumpkin Trail map, available online and in hard copy. Residents and visitors are encouraged to visit as many locations as possible along the Trail to experience all things pumpkin in Halton. Copies of the map are available at local Tourism offices, at all of the participating establishments, farmers’ markets and by dialing 311. An online version is available at www.halton.ca/pumpkintrail and is featured on the Region’s tourism webpages and social media channels. During October, you can also use the printed code found on the map to enter an online draw to win a pumpkin-themed gift basket. 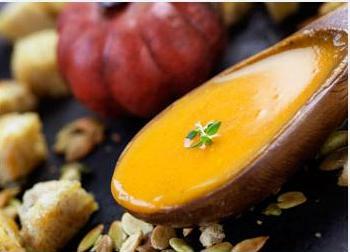 The Pumpkin Trail takes place from October 1-31, 2013 and will officially launch on Sunday, October 6 at Harvest Halton, a Farm to Chef Experience at Country Heritage Park in Milton, pairing Halton’s most prominent chefs with local farmers for a celebration of seasonal food. To learn more, visit www.halton.ca/pumpkintrail, dial 311, 905-825-6000, toll free 1-866-442-5866 or TTY 905-827-9833. Look for trail information on Halton Tourism on Facebook and join the conversation on Twitter @HaltonTourism or on Pinterest at pinterest.com/haltontourism. On Sunday October 6, residents and visitors to Halton will have the opportunity to discover the real taste of Halton at Harvest Halton, the Farm to Chef Experience at Country Heritage Park in Milton. 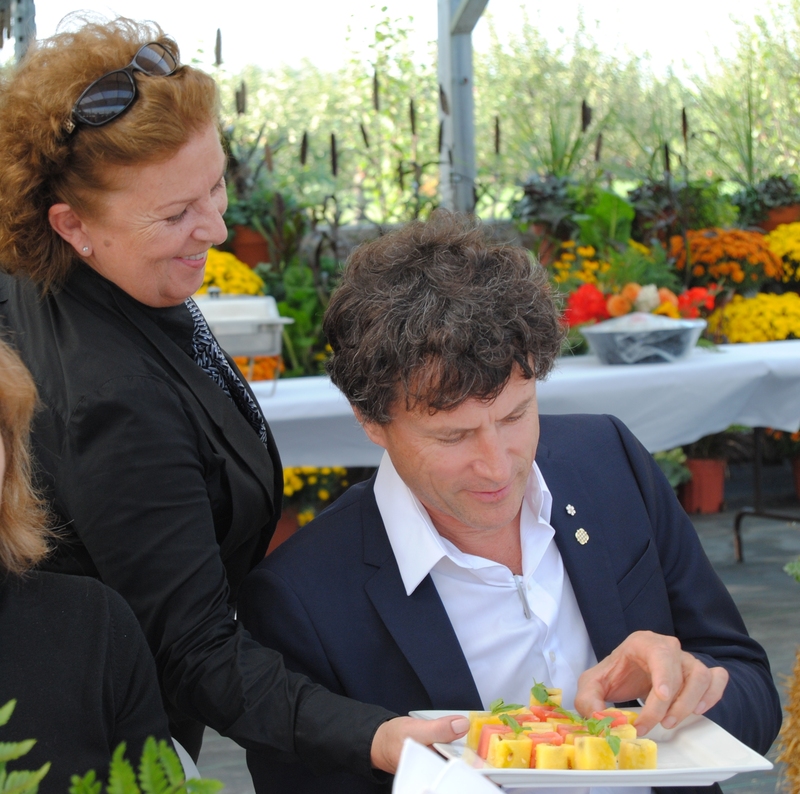 This inaugural culinary event brings together Halton’s prominent chefs, amazing local farmers and other local agri-tourism businesses to celebrate the harvest. 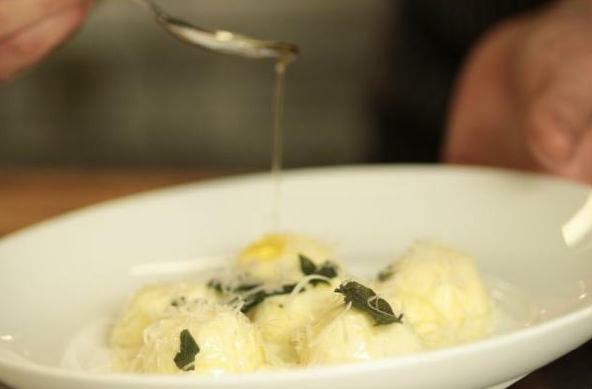 Chefs have been paired with farmers and will create signature dishes using farm fresh ingredients, which can be sampled for a few “sample tokens”. A portion of the proceeds will be donated to Halton Food for Thought. The event, which runs from 1 until 5 p.m., will also showcase local beverage producers, artists, including glass blowers, and retailers. Local musicians will be on hand to add to the celebration. Buy tickets for Harvest Halton online at www.halton.ca/harvest or at the gate. General Admission is $35 at the gate (buy your tickets in advance online and save $4), and includes five sampling tokens. General Admission for children aged 7-11 is $12, and children 6 and under are free. Additional sampling tokens can be purchased online in packages of 20 for $20, or in other denominations at the gate. Signature taste creations and beverages will be “sold” for between three and five sampling tokens per serving. To learn more about Harvest Halton, visit www.halton.ca/harvest. Find Halton Tourism on Facebook , Pinterest and Twitter (tweet #HarvestHalton). Harvest Halton will also serve as the official launch of Halton’s Pumpkin Trail.